I’m sure all you parents know the feeling: there’s always that one kid who pretty much doesn’t like anything you make. Not that you’re really that bad of a cook or baker, they’re just so picky! 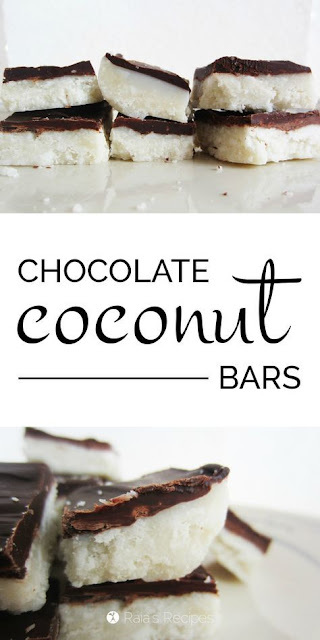 There’s no doubt about it, these Chocolate Coconut Bars are one of the easiest and most popular treats I make for my family and friends. With no nuts, dairy, eggs, or grains, they’re super allergy-friendly, too. And since they don’t require anything other than a blender and a freezer, they’re even perfect for hot summer days! Warm coconut oil until it is liquid. Place the base ingredients in a blender (I use this one) and blend on high until smooth. This will take about 5 minutes or so, so be patient!